Been too busy to really study Fashion Week this year but there was still plenty to see and more DIY ideas than you can shake a glue gun at. Two simple but stunning necklaces above and below. 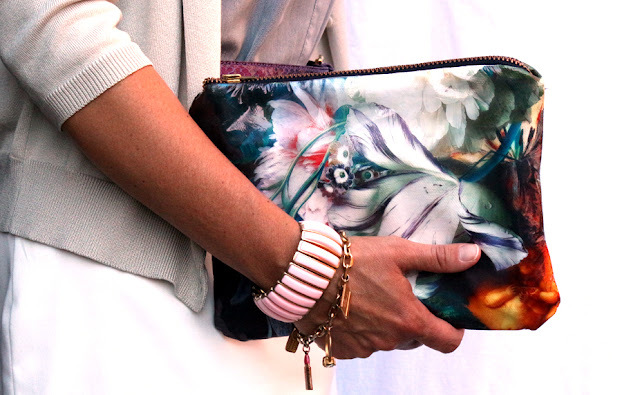 With a stencil and glitter fabric paint, you can put your name (or a friend's) on a basic clutch. 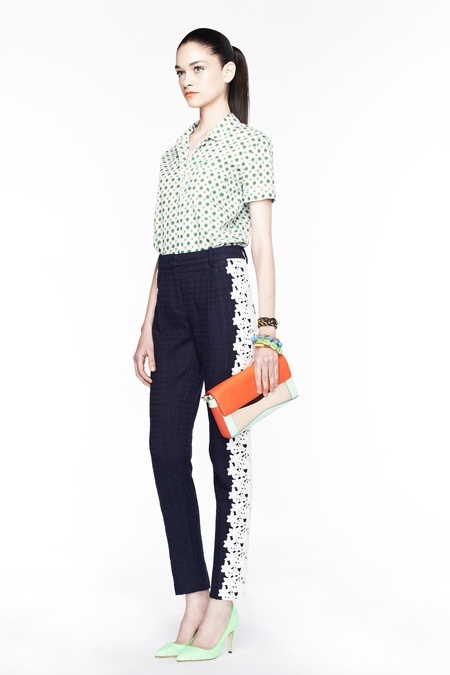 Mimic the look of J.Crew with a few yards of eyelet lace. Colored plastic, cookie cutters and chain could make a hip necklace. Mod Podge and paint silk flowers and create a necklace like Oscar de La Renta. My fav - reconstruct an I Love New York t-shirt like Phillip Lim. 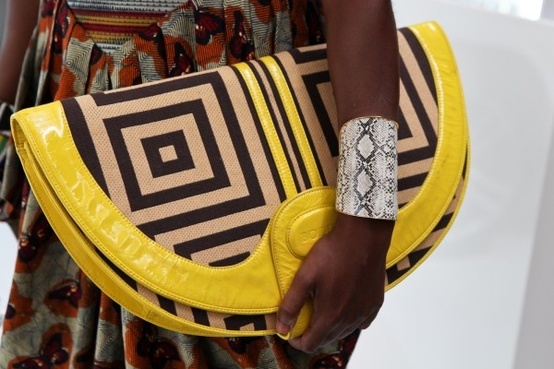 Cool bag but note the bangle. Could it be done with textured scrapbooking paper over metal? Check out the eye and the lips on the box clutch. Why didn't I think of that for my Betsey Johnson clutch. 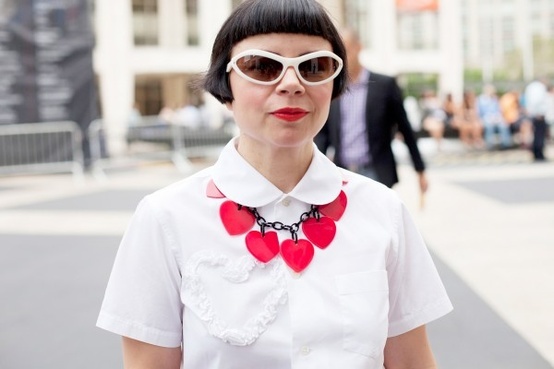 A vintage necklace on a Refinery 29 editor. Big beads, check. Tassels, check. How would you do the gold cones? Super easy clutch makeover requiring only a glue gun and interesting lace. Make this look with a tasseled shawl wrapped as a skirt. And since I'm in New York and carried this bag during Fashion Week, although not technically at Fashion Week, I'll stick my DIY floral clutch in there, too. Did you find inspiration in Fashion Week? Great idea. It's amazing how a little touch of gold makes black plastic look good. How will I ever sleep at night with all these new ideas rolling around in my head? Or get anything done during the day other than DIY'ing. Gold cones you should just pick up at a bead store. Worth paying for when you can DIY the rest!